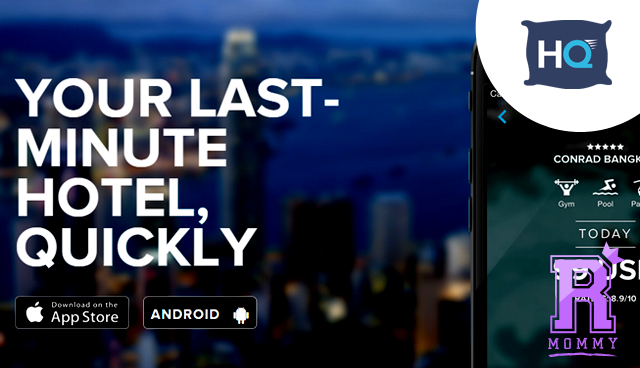 Travel: Do your last-minute booking with a tap of your fingertips! Now, now, I know you're in a hurry to book your hotel - that is the reason why you're reading this post. But, let me blabber first. I remember the days where I used to book flights and hotels non-stop because I have so much time in the world. However, that changed quickly and instantly when our little darling Arya arrived. My God! Oh, how I missed travelling and staycations so much! I used to book hotels through their websites and call them for confirmations. You know, those very tedious parts and boring parts of booking your hotel accommodations? - Boring right? it also takes so much of time! I was planning to book a hotel from a recent blogging event that I attended because I live in the Far, Far away land of Fairview, and travelling back and forth is something that I never wanted to do. Considering that it felt like I was travelling all the way to Baguio City. By the way of how I say it, I wasn't really able to book any hotels because it was last-minute! So, I got frustrated and that's when a friend introduced me to this app called HotelQuickly. She made me download the app on my iOS device and I also got a free credits of Php600.00. Yay! Now, let's get down, dirty and quickly with HotelQuickly. I promise you, this will not bore you. HotelQuickly is a last-minute hotel booking app that offers amazing deals and competitive prices than other online options. It promises a stress-free and hassle-free booking reservation through your Android or iOS devices. Once you downloaded the app to your mobile devices, you can quickly register by using your Facebook account or by using your email address. After that, you're good to go! You can quickly pick and book your hotel within the app. Easy right? What's great about HotelQuickly is their referral incentives. Remember what I told you earlier about my friend who recommended this to me? I used her code when I downloaded the app and I instantly received Php600.00 credit. 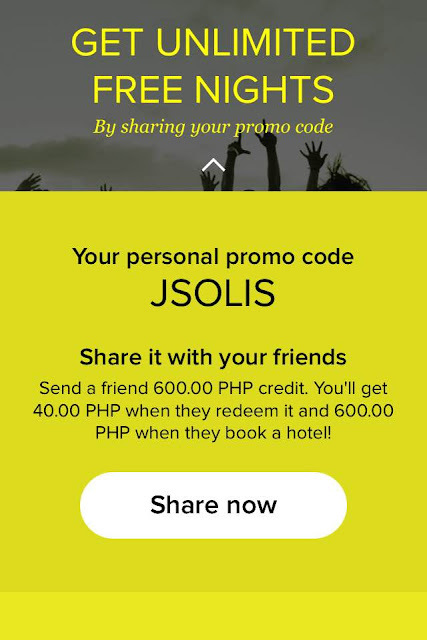 So, when you downloaded the app, you will get your own personal promo code to send to your friends and when they redeem it you wil get an additional Php40.000, and another Php600.00 when they book a hotel. Let me be the one to send you your first Php600.00 HotelQuickly credit! 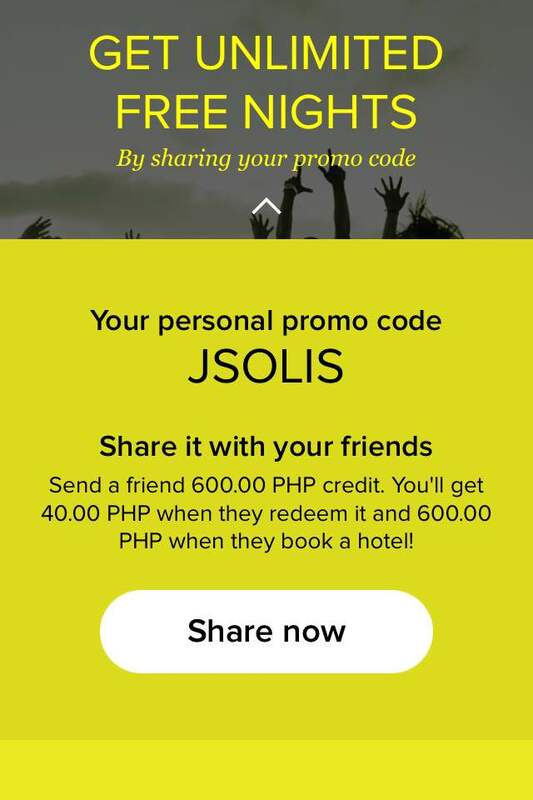 Download HotelQuickly App > Register via Facebook or Email > Go to Credits > Click on Redeem Voucher > ENTER "JSOLIS" to redeem your Php600.00 FREE credit! HotelQuickly accepts credit cards and Paypal transactions. HotelQuickly is available is more than 250 destinations in 15 countries across Asia-Pacific. Not only that HotelQuickly is also available in 9 languages - making the app friendly to for travelers. Ready to book your hotel for that much awaited stay-cation? I know I am! Go ahead and download the app! Oh, and while you're at it, don't forget to redeem your FREE Php600.00 credit courtesy of Rookie Mommy PH! Rookie Mommy PH - Soooo ready for my much awaited staycation! 4 comments on "Travel: Do your last-minute booking with a tap of your fingertips!" HotelQuickly was perfectly made to frequent travelers and to those into "biglaang-lakad". Great app!